-- Josiah Reynolds is a beekeeper trying to stay financially afloat by selling honey at the Farmers' Market. 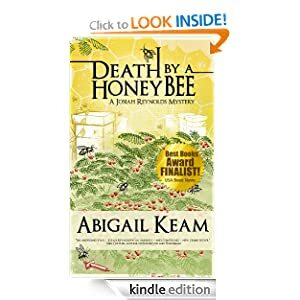 She finds her world turned upside down when a man is found dead in her beeyard, only to discover that the victim is her nemesis. The police are calling the brutal death murder and Josiah is the number one suspect! Josiah makes the rounds of quirky characters that can only be found in the lush Bluegrass horse country. Fighting an unknown enemy in the glamorous world of Thoroughbreds, oak-cured bourbon and antebellum mansions, Josiah struggles to uncover the truth in a land that keeps its secrets well. 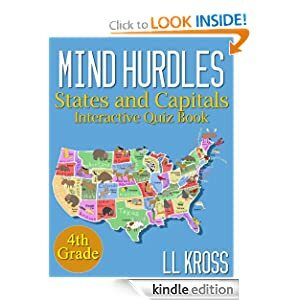 -- Kids love and are challenged by Mind Hurdles: Having Fun with States and Capitals in the United States - Interactive Quiz Book. Its interactive multiple-choice format not only makes it a favorite among books for children, but it is also a wonderfully fun game that painlessly shows your child which capital belongs with each state. What does interactive mean? While it is multiple-choice, it is vastly improved over the typical multiple-choice format. When a wrong answer is given, the game keeps prompting your child back to the question until the right answer is chosen. The game also congratulates your child when the correct answer is selected. Imagine your child being the first and possibly the only one in the class who already knows the states and their capitals? A panel of life-long educators designed this fun to read and fast-paced states and capitals game book. As with all the Mind Hurdles books, its contents are overseen by the Mind Hurdles Advisory Board. As parents, we have all had the experience of trying to keep our kids occupied during doctor’s appointments, standing in grocery store lines, flying in a plane, or riding cross-country in a car. Like most responsible parents, you probably cringe at the idea of giving your child fluff to read. You can feel confident that this states and capitals quiz book is a 50 states game that will not only merely entertain and occupy your child, but it will also improve his or her mind at the same time. -- Pictures of farm animals have been loved by tots and young children for generations. This book of stunning photos of farm animals brings the farmyard right into your child's bedroom. The high quality of these images show the animals in their natural settings. With the wide availability of children's picture books online, providing your tots with the kind of books they deserve is easier than ever before. 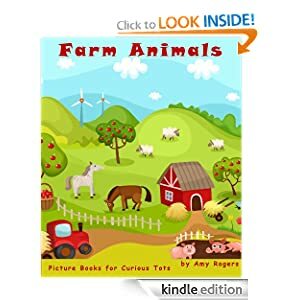 All of the farm animals illustrated in this book are accompanied by age appropriate comments to increase your child's knowledge in a subtle way. If you are passionate about stimulating your children's curiosity and increasing their knowledge in a fun and interesting way then my "Pictures of Farm Animals" is the right picture book for you. -- When Kit suspects Larry of having an affair with one of his employees, Susan Reed, she enlists Val’s help in uncovering the truth. 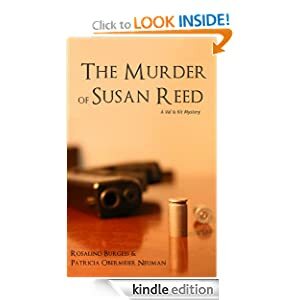 The morning after a little stalking expedition by the lifelong friends, Val reads in the newspaper that Susan Reed was found shot to death in her apartment the night before, right around the time Kit was so certain Larry and Susan were together. Were they having an affair? And did Larry murder her? The police, in the form of dishy Detective Dennis Culotta, conduct the investigation into Susan’s murder, hampered at times by Val and Kit’s insistent attempts to discover whether Larry is guilty of infidelity and/or murder. As the investigation heats up, so does Val’s relationship with Detective Culotta. 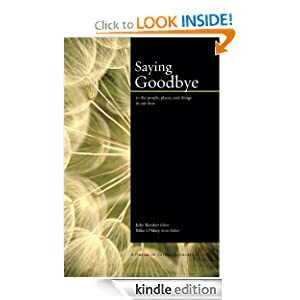 -- Saying Goodbye is a collection of true stories about saying goodbye to the people, places, and things in our lives. The stories are universal. They are incredibly powerful and moving. And they are surprisingly uplifting and cathartic. "The stories are about love, really, not sadness," says one critic. "Despite all the sadness and grief that come with saying goodbye, there is love and joy and comedy on the Other Side." 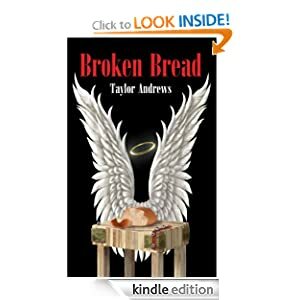 Says another: "If you have ever had to deal with loss, read this book. It will make you feel better." These stories show that there is sadness in goodbyes, but there is also irony and humor. We cry about the sad stories, we laugh at the funny ones, and along the way, we learn valuable lessons about how we say goodbye -- sometimes under the most difficult of circumstances. We learn because the contributors are unflinchingly open and honest when it comes to sharing very personal stories about how they and their loved ones say goodbye. Taken together, these stories serve as amazing examples of how to say goodbye with grace, dignity, and good humor. -- Are you a “Ladies First” girl? Join four young women, unknown to each other, as their lives intertwine with fate in a thrilling journey on destiny’s path of intrigue, mystery, discovery, and triumph. Vicky Katz is Jewish and a recent business graduate. Desiree Martinez is a Hispanic law student. Pasha Kennedy is an African-American student nurse, and Jennifer Post is an unemployed white girl. All of them are beautiful, all of them are smart, and all of them are in each other’s future. 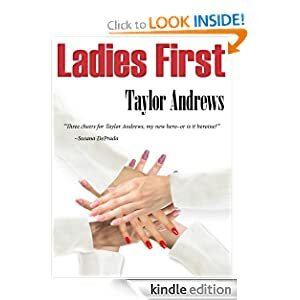 Read Ladies First and follow the life-changing challenges and events each young woman faces, and get a glimpse as each is inducted into the Ladies First Academy, where they learn that their lives will never again be the same. -- The beautiful young Mickey Gillette still lives at home with her mother and her Rottweiler, Bear. Both work for the city. Marty, her mother, heads the emergency medical response teams, and Mickey works as a 911 call center operator. Both deal with tragedy daily, and they do their jobs well. Follow Mickey and her two best friends, Lisa and Donnelli, on a radical journey in their lives, on life’s unexpected terms. Ride along with the three girls as they become key players in a madman’s attack on the Mile-High City. Are they the ones destiny has chosen to try and stop him? 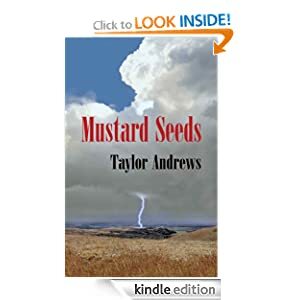 International intrigue and suspense fills the pages with unexpected characters and twists that will leave you guessing. The incredible epilogue will leave you with white knuckles, as you cheer. -- Lisa has worked as a dancer for Jack at the Lion's Den for six weeks. She took the job to make some quick cash. She soon discovers the proprietor Jack's evil nature and finds herself forced to make a crucial decision concerning free will. Will Lisa choose the right path? Across the street sits the Broken Bread Diner, where "All Are Welcome," and every first meal is free. Come in and warm your hearts with Betty, Miguel, Aggie, and the rest of the crew. See what old Charlie, the proprietor, has cooking for you. What you discover may surprise you and could change your life forever.